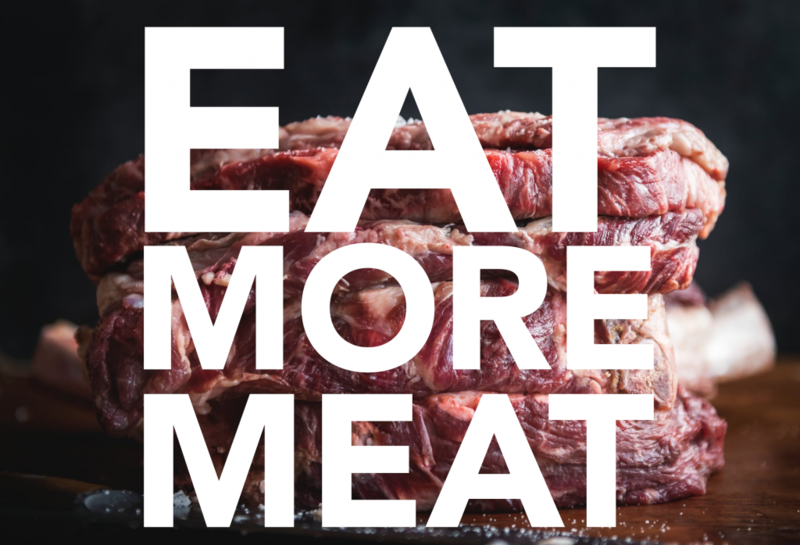 “We should eat less meat in order to save the planet”, has almost become a dogma. But is it true? There is no doubt that industrial animal production is harmful for animals and nature, and risky for human health. But the framing of the path to a sustainable agriculture system in terms of how many grams of potatoes, wheat and meat we should eat per day is to start in the wrong end of the stick. Instead, we should focus our interest on the transition to a sustainable and regenerative food and agriculture system. Such a system would exclude or substantially reduce any foods that are unsustainable, regardless of whether they are eggs from caged hens or asparagus flown from one side of the globe to the other. With the right design, animals (especially ruminants such as cattle, sheep and goats) can be companions in this transition rather than a problem. In addition to dietary changes, improving management practices and technologies in agriculture is required to limit pressures on agricultural land, freshwater extraction, and fertilizer use. Finally, halving food loss and waste is needed for keeping the food system within environmental limits. Not surprisingly, the media featured the ”eat less meat” message strongly in headlines, but this is a gross over-simplification. What does the article really tell us? First, the premise of the article is building scenarios to the year 2050. That is a nice method to visualize possible implications of trends and possible options. However, the food system is a very dynamic socio-ecological system where changes in one place will trigger a cascade of changes in other places. “Small” details, such as the invention of the shipping container, a bird flu pandemic, antibiotic resistant bacteria, or a populist president in the White House, can have enormous impact, even on people’s diets. It should be very clear that scenario building is not predicting the future. The results are determined by the data put into the model and the assumptions made, and will not prove anything else than what is already determined by those, therefore it is essential that the assumptions be clearly expressed and communicated together with the results. The selection of the assumptions, the model, and the data input into the scenarios have some major flaws as follows. Let’s start with the main points of criticism. The assumption for economic growth doesn’t seem very realistic. The projection for land use is to no extent based on a historical trend and disregard the enormous increase in productivity in the farm sector. Their own data show that livestock products don’t have a disproportionally big environmental impact on four of the five impact categories compared with their contribution to human nutrition, but their conclusions are implying the opposite. The allocation of all environmental impact associated with livestock to meat and milk omits that livestock has many other functions. When calculating greenhouse gas emissions, Springmann et al do that only based on methane and nitrous oxide emissions, thus excluding carbon dioxide, the greenhouse gas with the biggest impact of them all. This systematically misrepresent livestock and in particular ruminants. The expression of methane emissions as carbon dioxide equivalents can be questioned, especially when used for making scenarios for many decades. There is no mention of the enormous variations and uncertainties regarding nitrous oxide emissions, which potentially have a huge impact on the results. The research is supposedly for the food system, but the results and comparisons between diets are about agriculture raw materials. There are massive emissions in the rest of the food chain which thus are neglected. Again, this systematically misrepresent livestock, and in particular ruminants. The article assumes that population will grow with 50 % and global income will grow three times. Considering the strong link between GDP and the minor decoupling of growth from greenhouse gas emissions that can be observed, one could argue that we are doomed with such projection – regardless of whether we fix the food system or not. The researchers also assume that the demand for crop land will increase by a whopping 67 percent. Looking back, that assumption seems unsubstantiated. The gross output of global agriculture grew from 3,760 calories per capita to 5,740 calories per capita between 1960 and 2012 while the population more than doubled and consumption of animal products increased a lot. But during the same period global crop land just increased by around 15 percent. The authors don’t give any convincing explanation for this mismatch between their projection and historical trends. Animal products contributes 18 percent of all calories, 40 percent of all protein and 45 percent of all dietary fats (FAOSTAT). The environmental burden of livestock products is therefore not disproportionally high with the exception of greenhouse gases (see more below). Considering that protein and dietary fats are more limiting factors in the food system than calories or kilos are, one could clearly argue the opposite. While it is true that in most developed countries the purpose of livestock keeping has, largely, been reduced to the production of meat and milk, that is not a fair representation of the real value of livestock. Increasingly, other functions of livestock are recognized, such as maintaining biodiversity, circulation of nutrients, use of wastes, carbon sequestration etc. In many cultures where livestock keeping is still a way of life the main purpose of livestock can be for draught power, transport, insurance and savings and for cultural and religious reasons. In some cultures livestock provides housing (yurts, and manure/clay adobe) in others they are a source of cooking fuel. Livestock also provide clothing, shoes and leather. It is arrogant and culturally insensitive to brand animals primarily as commodities (do that to dogs or horses and see which reactions you get in the Sweden, UK or the USA!). If other functions and values of livestock are recognized, the costs and impacts of livestock also needs to be distributed across those categories instead of being seen as a result of diets. The authors base their calculation of greenhouse gas emissions only on methane and nitrous oxide, thus leaving carbon dioxide out of the equation. They don’t provide a reasonable explanation for why they do like that. The reason is probably how the IPCC classify emissions. Most people would assume that for agriculture, emissions data would include pumping of water for irrigation and the production of artificial fertilizers, but those are excluded here. Production of artificial fertilizers is booked under “industry” and if you use an electric pump irrigation power falls under “power generation”. As a matter of fact not even the fuel for tractors or dryers or any other fuel used in a farm is booked under “agriculture” in the IPCC methodology. Essentially there are no CO2 emissions at all as a result of farming according to this methodology. But of course there is in real life. Lifecycle analysis will include those emissions under agriculture, and they tell quite a different story. For most crop production systems, CO2 emissions are much bigger than methane and nitrous oxide emissions. A recent study of Chinese agriculture shows that it is only in paddy rice production that methane and nitrous oxide emissions exceed CO2 emissions. In most cropping systems, nitrogen fertilizer production was the main source of greenhouse gas emissions. Research from Australia shows that 65 % of the greenhouse gas emissions caused by the growing of vegetables comes from electricity for irrigation, cooling, washing etc. By excluding CO2 from the calculations the proportional contribution of ruminants to greenhouse gas emissions is grossly exaggerated. This can be seen in the values used in the calculations in the article (which are find in the extended data table 3). For beef, the authors use the figure 32 kg carbon dioxide equivalents (CO2e) per kg while for vegetables the figure is just 0.06 kg CO2e per kg. But lifecycle analyses of vegetable production mostly end up with 1 kg or more, twenty times the value used in this research. If vegetables are grown in heated greenhouses or air-freighted the emissions will be up to 100 times higher. Also for the other crops values are much lower than the results of LCAs, e.g. wheat in the study has 0.23 kg CO2e GHG intensity, while LCA analysis normally will rate it 0,5 kg to 1 kg. Intensive livestock systems based on cultivated crops, e.g. poultry and pigs, are also assigned proportionally very low emissions due to the methodology chosen. The researchers use 1.41 kg CO2e per kg of poultry, while the FAO estimates the global average to around 6 kg CO2e per kg. The authors mechanistically express methane emissions as carbon dioxide equivalents. While this is common and follows an established standard, it is not appropriate in general and in particular not for such a long period of time. In the article New use of global warming potentials to compare cumulative and short-lived climate pollutants in Nature Climate Change, Myles Allen (one of the authors of various IPCC-reports) and colleagues demonstrate how the calculations for expressing methane in carbon dioxide equivalents misrepresent the real impact on climate. For short-lived greenhouse gases, the comparison with carbon dioxide based on a pulse of emissions of both gases (which is the basis for the recalculation to carbon dioxide equivalent emissions) gives a reasonably correct result only in a time span of a few decades. In the longer term, the more correct comparison is between a pulse of carbon dioxide and aconstant rate of methane emissions. Constant methane emissions do not cause any increase in global temperatures after a few decades, while constant carbon dioxide emissions lead to cumulative increases for thousands of years. The article should have based its calculations on the actual impact on global temperature (which is the real planetary boundary) instead of taking the detour via carbon dioxide equivalents. The data used in the calculations are based on fixed emission of methane and nitrous oxide per kg of product. For methane the main problem is described above, but for nitrous oxide the problem is that the values used are so uncertain. Lifecycle analysis and the IPCC use emissions factors which are calculated as if there were linear relationship between the amount of manure applied and nitrous oxide emissions and the use of chemical nitrogen (N) fertilizer and the emissions. But research show that there is no such linear function, and in most cases low N-intensity leads to much less emissions per kg N than high N-intensity. Through the use of constant emission factors, nitrous oxide emissions for extensive production (e.g. pastured ruminants, or low yielding grain cropping) are grossly exaggerated, while emissions from intensive production such as industrial pork or poultry production or conventional vegetable farming are underestimated. How dubious the emission factors are best shown that when New Zealand recalculated its nitrous emissions based on actual measurements instead of the IPCC emissions factors, nitrous oxide emissions from its big dairy sector was reduced with 60 %. The uncertainties in the calculation of nitrous oxide emissions from soils puts into question if the kind of detailed calculations made by the authors is meaningful at all. In any case it would have been reasonable to declare and discuss the huge uncertainties regarding nitrous oxide emission, following good research practice. The article talks about the “food system”, but ultimately, apart from the food waste, the article is about the agriculture production of raw materials. The rest of the food chain, however, has many impacts, use of water, effluents and emissions. In developed countries the greenhouse gas emissions post farm gate may well equal those at the farm gate. Those emissions are caused by transport, food processing, storage, cooling and cooking. There is no reason to believe that livestock products are overrepresented here. This means that if you are to replace meat products with more vegetables, fruits, vegetable oil and legumes, which is what the article suggests, there will be no big potential for savings in the post farm stage. By omitting the impact of post farm emissions, the relative impact of meat in general and ruminant meat in particular, for the emissions of the food system, is exaggerated. According to the article, emissions from animal products cause 77 % of the “food-related” greenhouse gas emissions. However, that is the projection for 2050. If we take the figure for 2010 they cause 72%. But is this really correct? If we add CO2 emissions in agriculture and emissions in the rest of the food chain we increase total emissions with 100-200 %. This is in line with global estimates by Vermeulen et al 2012. An assessment of the emissions in the EU food chain by Camanzi et al, concluded that CH4 and N20 contribute less than half of total emissions in the whole chain and that emissions post-farm are much higher than previously estimated. If we assume, rather conservatively, that emissions of CO2 from agriculture and all greenhouse gases post farm gate corresponds to 150 % of the methane and nitrous oxide emissions from agriculture, around 40 % of the total emissions can be attributed to livestock (with all the reservations stated above) – coincidentally the same proportion as their contribution to global protein supply. If we skip animal products altogether the net “saving” of emissions will not be that high as livestock products have to be replaced by other products. The net saving will depend on which products that will replace animal products, but it likely to be in the range of 20%. It will be higher if animal products are replaced by pulses, root crops and grains, and lower if animal products are replaced by exotic fruits, soft vegetables and processed foods, i.e. the kind of non-animal foods that dominates in developed countries. By phasing out fossil fuels, including its use for fertilizers and global transports, but with no change in global diets, total emissions would be reduced by more than 50 % of the current emissions, according to my back-of-the-envelope calculations. It is strange that scenarios for our future food system don’t include the phasing out of fossil fuels, as that would have a huge impact. As little as we can predict the real outcome of a phase-out of animals from the food system can we predict the outcome of a total de-carbonization. Food and agriculture are very dynamic systems where you cannot change just one thing. In reality, phasing out fossil fuels would also change diets significantly, as it would change both availability and relative prices of food. Poultry and pork would become much more expensive. Pasture raised animals would be less costly. Global competition in foods would be much less intensive and prices will go up, which would stimulate local production and it would reduce waste etc. Use of artificial fertilizers would fall dramatically. They could still be produced with non-fossil fuel processes, but they would be considerably more expensive, which in turn would reduce nitrous oxide emissions considerably. The assumptions and limitations of the article Options for keeping the food system within environmental limits give it a very strong bias against ruminants. The conclusions of the article as communicated by the lead author are not supported by their own research. I have no problem with ”eating less meat” per se. But it is the wrong entry point for an intelligent analysis of our food system. Increase in meat consumption is primarily caused by a massive overproduction of staple crops driven by the use of artificial fertilizers and pesticides. Those cheap staple crops form the basis for the industrialization of meat production and a production model where animals have been separated from the land and the land has been put into monocultures. That kind of livestock system is wasteful and unethical, and “we” should not eat its products – at all. But livestock which is properly integrated into an ecologically sound agriculture system is not wasteful. It can clearly increase productivity of the whole system, it can revitalize the soil and sequester carbon at the same time. 1.3 billion people depend on livestock for their livelihoods and some 200 million are agro-pastoralists. In arid and semi-arid lands, mountainous areas, non-arable land and natural rangelands, pastoralism is the only possible production system that allows to transform non-edible plants and marginal lands into nutritious food (meat and milk). These lands cannot be used in any other way for human consumption if not grazed by animals. Many of the pastoralists consume very high levels of animal products. The environmental impact of the food chain is too high. The main driver of destruction is the globalized fossil fuel economy and industrial agriculture of plants and animals. Once we redesign agriculture into sustainable and regenerative systems where land, people and food are “re-coupled”, diets will be diverse and adapted to the local ecological conditions, population densities, etc. The notion of some kind of globally averaged diet is flawed. The share of animal products in peoples’ diets will vary from very high to very low depending on the conditions, in the same way it has always done.